Civil engineering is a professional engineering discipline. It generally covers the design, construction, and maintenance of the natural and built environment. This commonly includes facilities such as roads, bridges, canals, dams, and buildings. Civil engineering is the oldest engineering discipline after military engineering. It helps distinguish between the civil and military practice of engineering. It is traditionally broken into the following sub-disciplines: environmental engineering, geotechnical engineering, geophysics, geodesy, control engineering, structural engineering, transportation engineering, earth science, atmospheric sciences, forensic engineering, municipal or urban engineering, water resources engineering, materials engineering, offshore engineering, quantity surveying, coastal engineering, surveying, and construction engineering. What is Civil Engineering in Texas? What is Civil Engineering in Texas? 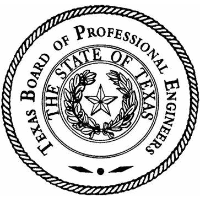 What is Civil Engineering in Texas?